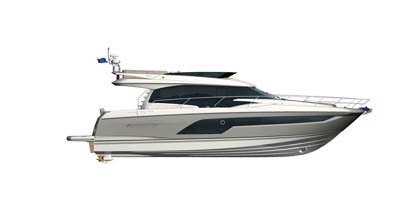 Euromarine d.o.o., authorized representative of the Jeanneau brand provides comprehensive post-sales service, maintenance, repair and equipping of vessels and guarantee jobs. High expertise of staff, long experience and excellent knowledge of boats guarantee a high level of quality service. Through a network of our partners and our service centers in Zagreb, Pula, Sukosan, Biograd, Split and Dubrovnik, we are able to equip your boat, make all the routine service and repair any vessel at a very affordable price. Setting up the mast is the most important part of preparations for sailing yachts in which years of experience in sailing of our employees, use of modern technology and the necessary specialized tools ensure a superior quality service. 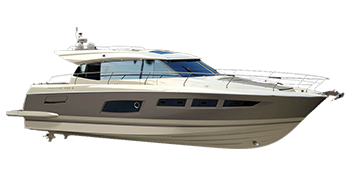 Quality navigational system is an inevitable part of every boat which provides safe voyage. Due to the difficult conditions in which they are used (moisture, salt) and when talking about navigational equipment, the quality of the equipment and the experience and expertise of staff appointed are the most important for installation, preparation and maintenance. In this area, among the others, Euromarine d.o.o. guarantees top quality service. Our professional staff specialized in this particularly sensitive area. We use only top quality components and meet the high standards of professionalism in maintaining them. Almost all vessels are equipped with refrigerators, air conditioners, heating systems, audio and video equipment, navigation systems and other consumers of electricity. For this reason quality and strong enough system power is very important. You can get a complete service at Euromarine. Given that almost all modern boats made of fiberglass, Euromarine has trained personnel and acquired necessary technology for performing a variety of rehabilitation works to repair damage of boat hull and setting regular antivegetative protection. Euromarine d.o.o. established a wood workshop which provides our clients with services of refurnishing interior wood components. Our experts are precise, but above all innovative in designing the interior of vessels. We make almost all the wooden parts of the vessel from the deck to the frame. Seasonal work after intensive use while warmer weather, vessels must be adequately prepared for the winter period when they are less used. Euromarine offers a complete and careful control of the vessel, review in great detail, service and adequate storage until the next sailing season. 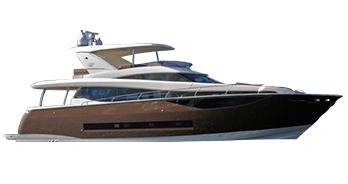 Since Euromarine has its own charter fleet, equipping the vessels is an integral part of our services. We have a rich selection of nautical equipment and we are able to equip every vessel in great detail. We work with top reputable suppliers of nautical equipment, and through our offices in Zagreb, Pula, Sukosan, Biograd, Split and Dubrovnik we are prepared to equip your boat well and prepare it for you by the “turnkey” system. You are to enjoy the voyage. Regular maintenance of nautical equipment ensures long-lasting enjoyment and safe sailing. Our professional staff will make sure the performance of your boat remains excellent over the years.